Ike Davis spoke Thursday about his affection for New York — the state and the city. He began his professional career with the Brooklyn Cyclones in this Coney Island stadium. Eventually, he would spend minor league seasons in Buffalo and Binghamton, and play in five seasons with the Mets and eight games with the Yankees. 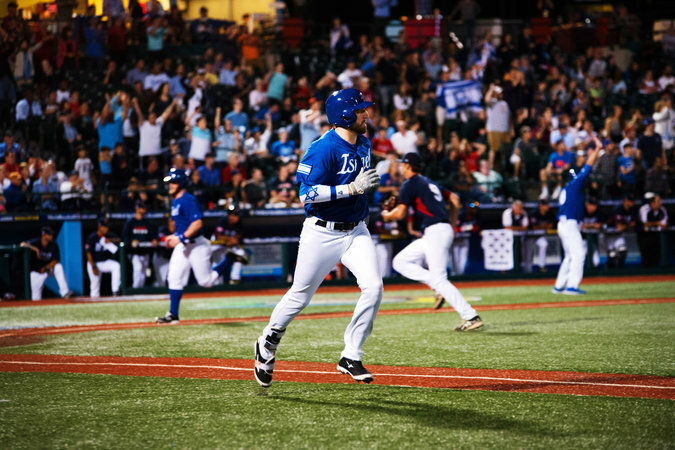 In his return to his first pro baseball home, Davis contributed to a four-run rally in the seventh inning, giving Israel a 5-2 victory over Britain in a tournament that will decide the final berth in the World Baseball Classic next March. Israel’s Ike Davis, who played in five seasons for the Mets and eight games for the Yankees, running to first base in a 5-2 win over Britain. Lions training camp questions: Can Matt Patricia bring Patriots touch to Detroit?